/ Modified oct 17, 2016 3:06 p.m.
University of Arizona planetary scientist Ewen Whitaker, whose expertise helped NASA pick landing spots on the moon for the Apollo astronauts, has died at 94. 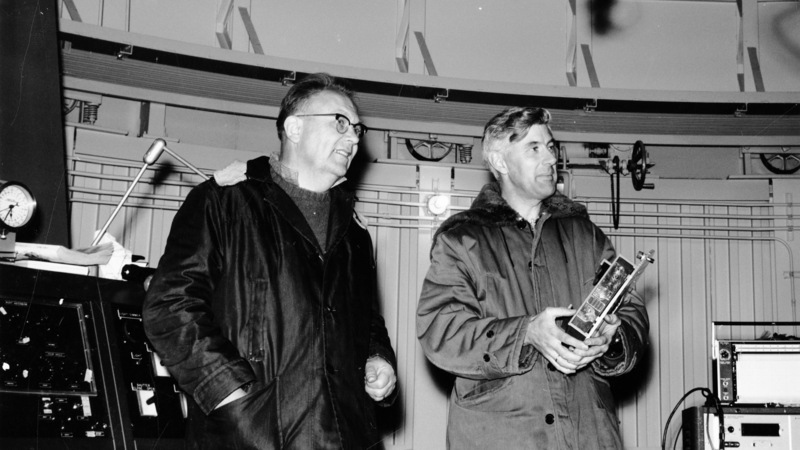 Whitaker was working at the Royal Observatory in England when he answered a call to assist Gerard Kuiper in mapping the moon. He came to the United States in 1957 for what he thought was a month-long project and ended up staying for the rest of his life. Gerard Kuiper, UA Lunar and Planetary Laboratory director, and Ewen Whitaker. 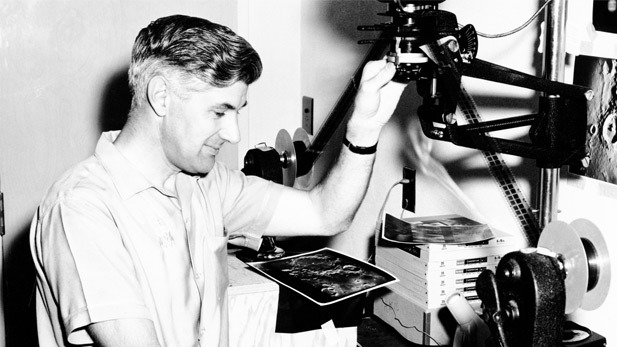 Whitaker joined Kuiper at the University of Chicago's Yerkes Observatory and relocated to Tucson in 1960 with Kuiper's group to continue with moon mapping. Kuiper's team was selected by NASA to aim cameras carried aboard the Ranger spacecraft at possible landing sites on the moon. "I was just one of the peons with a knowledge of moon mapping in the background of my head," Whitaker said during an interview with Arizona Public Media in March. Whitaker recalled having a cordial working relationship with Kuiper. "We got on excellently with each other. Never had a cross word between us, and I think it was just that our characters, whatever that is, fitted together," Whitaker said. Whitaker retired from the Lunar and Planetary Laboratory in 1987 and continued attending space science events on campus, as recently as April 2016.